For years I believed that the best pairing partner for a cigar was red wine (one of my favorite master blenders, Pete Johnson, would agree). 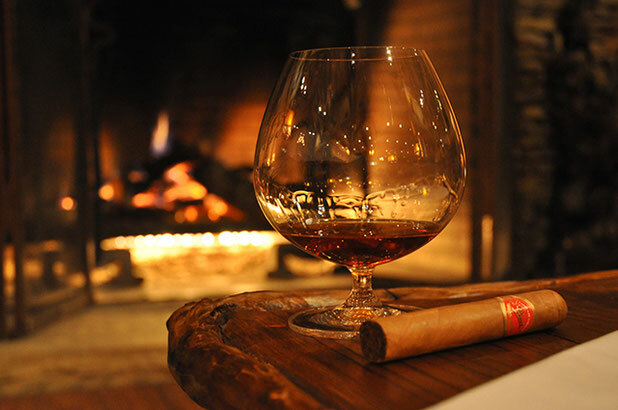 While I do waver and return to this perspective very often I have a tendency to come to my senses and opt for the best cigar pairing partner, brandy. Brandy has beat out all of its competitors in my stash of hooch, and please remember that I am the biggest admirer of whisky (including whiskey) and rum that you can meet. However, brandy has the qualities of whisky with its oak barrel wood notes, complex layers of flavor, and sweetness (to name a few); but I have also found that it marries what I love about red wine and whisky. The brandy I prefer is from Cognac and Armagnac so yes I am in the tank when it comes to brandy from France, but it’s the love of the grape and the love of the barrel that make Brandy very different from other spirits. One cannot deny that red wine perfectly compliments a cigar with its bitter edge, fruit notes, and complexity but its lacks the power that we love from whiskey. When it comes to whisky we often get the power and complexity that we love but often the cigar’s flavors get erased with every sip. Let me be clear here. I mostly enjoy a full bodied spirit, the likes of Kentucky and Islay, but when you are specifically talking about a cigar pairing other variables become part of the equation. Rum has a tendency to be too sweet but its that very sweetness that makes it a great pairing partner. Nonetheless, rum has also been outclassed by brandy because it has no such weaknesses. Brandy is the result of the grape and the barrel. Its takes the best of what we love about wine and whisky and offers a package that bonds well with cigar flavor (especially when it comes to sweetness), compliments the wood, coffee, and leathery notes from a cigar, and does not erase the palate with every sip. I know that many reader will disagree with me but that is simply because I am one step ahead of you (just one).